The purpose of large-scale software architecture is to capture and describe practical representations to make development teams more effective. 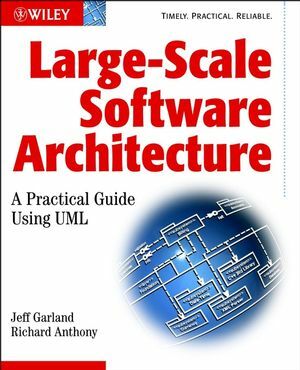 In this book the authors show how to utilise software architecture as a tool to guide the development instead of capturing the architectural details after all the design decisions have been made. Jeff Garland, President CTO, CrystalClear Software, Phoenix, AZ, USA. Richard Anthony, Senior Software Architect, Object Computing Inc, Tempe, AZ, USA. Jeff Garland has over 16 years experience as a software designer and architect. He currently consults, specializing in the development of software architecture for large-scale systems. Richard Anthony has over 17 years experience as a software designer and architect. He currently consults, specializing in CORBA and distributed systems. Roles of the Software Architect. Software Architecture and the Development Process. System Context and Domain Analysis.